The essence of the polity we call a nation-state can be a nebulous concept to visualise, let alone articulate. Yet, despite the apparent elusiveness of precise definition, for 364 years since the 1648 Treaty of Westphalia it’s been not only the most successful form of polity in humans’ organisation of their societies, but also, crucially, the one to which those lacking it have most consistently aspired, to the extent of being willing to sacrifice even their lives to achieve it. History therefore suggests that not only should we have a readily-useable definition of it, but also that we should be wary of discarding what makes it so powerful an aspiration. It’s hard to surpass the definition that a nation-state comprises the largest agglomeration of peoples who feel they are sufficiently alike and their interests are sufficiently compatible that they’re prepared to accept one single government making economic and fiscal decisions on behalf of and which affect them all: but no wider. Its practical manifestation is a state where the voters of more-prosperous Farnborough, say, are content for their government to redistribute their taxes to less-prosperous Newport, but not to Bruges or Marseilles: or, more pertinently for the EU, where the voters of Munich are prepared to subsidise their fellow-Germans in Rostock, but not the citizens of Faro, Murcia or Bari: or where the voters of Thessaloniki are willing to be governed from Athens, but not from Brussels or Berlin. 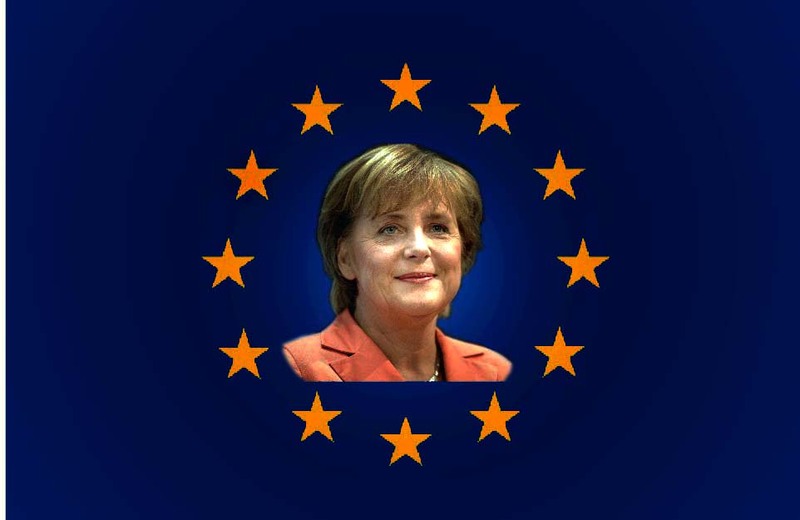 Yet these very foundations of democratic consent, fundamental to the integrity of the nation-state as a concept, are those which the Angela Merkel-led EU has now determined to repudiate in an acceleration of EU federalism quite unlike in character anything which has preceded it. The gradual depletion of nation-state sovereignty via the EU’s acquis communautaire and its remorseless process of engrenage has led states to cede national-level competences in all kinds of areas: but the proposals crystallizing in last week’s EU summit for a single banking union and supervision, plus a single budget commissioner, coupled with its prior imposition of unelected provincial tribunes to administer Greece and Italy on the EU’s behalf, represent the three pillars of a transfer of sovereign powers to a Brussels-Berlin federalism axis which risks undermining the social stability of the states ceding those powers and, in extremis, their very existence as homogeneous polities. For those reasons alone, it should be resisted. The nations of Greece and Italy are no longer governed by the democratic choices of their electorates expressed through the ballot-box, but, in keeping with the dreams of the EU’s intellectual progenitors, by federalist technocrats imposed from the Brussels centre. It would be a brave soul who bet on a different outcome to a government collapse in Madrid or Lisbon similar to that in Greece or Italy. The second pillar, a Eurozone-wide single banking union under ECB single banking supervision, threatens to remove from nation-states’ central banks what little discretion is left to them after relinquishing, with the advent of the euro, their autonomy over interest-rate policy to suit local conditions. Any public squabbles, over the ESM’s precise legacy obligations or direct recapitalization of troubled Eurozone banks to obviate adding to their host governments’ debts, should not obscure that any residual control over in-country or bank-specific credit policy and asset valuation will vest in the ECB – outside the influence, except as exercised in limited way through democracy-diluting EU institutions, of those host governments and their electorates. And, given the extent of mutual financial integration of European economies, who would predict that non-euro countries would not rapidly fall into line? The coup de grace comes with Merkel’s demand, via German Finance Minister Schäuble, for, in effect, an EU Budget Commissioner to act as fiscal overlord with powers of review and veto of national budgets, both as precondition and precursor to full fiscal union. That initial objections were predicated, not so much on any intrinsic democratic deficit than the fact that the necessary Treaty change would require popular consent, suggests that this is an idea whose time, despite diversionary posturing, will shortly come. And with these three pillars of governance transferred to Euro-federal, rather than national, competence, the fundamental building-blocks of the democratic nation-state vanish. A demos deprived of the right, via the electoral process, to decide who governs it, how its resources are deployed among it, and how its monetary affairs are controlled, has lost much of what it means to be an homogeneous polity. We may be living through history’s first recorded simultaneous multi-national coup d’état. The EU has long attempted to persuade that it is autonomous, democratic nation-states which contain within them the seeds of conflict, and that on this false rationale lies the necessity for states to immerse themselves in a federal structure where their most basic democratic rights are curtailed if not abandoned. In fact, current events suggest the opposite – that the abstraction of those rights by unelected and unaccountable technocrats and federal institutions feeds developing social unrest. Greece may be merely the start. Co-ordinated anti-austerity strikes take place there and in Spain and Portugal on 15 November: Flanders and Catalonia openly indulge separatist sentiment. Apart from direct miseries, the economic attrition in a Europe riven by social breakdown resulting from Euro-federalism’s subverting of democracy at national level will multiply that already visited on its people by its elite’s perverse clinging to the flawed concept of monetary union. It is time for democrats in Europe to say: these are steps too far – no further.